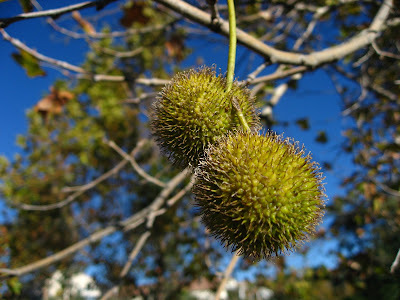 This is a photo of sycamore seed pods I took while walking the dogs on an empty lot, near our home. Oh NO! I missed it this week! No god excuse except I've been busy. So that's what a sycamore pod looks like. NEAT!